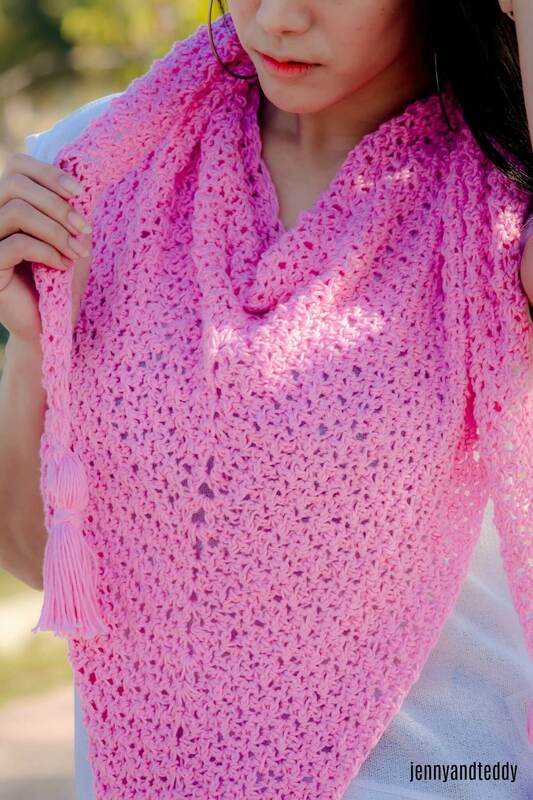 The Weekend crochet triangle scarf is fun and simple to make. I pick up this pastel pink color cotton yarn that I love to work with. 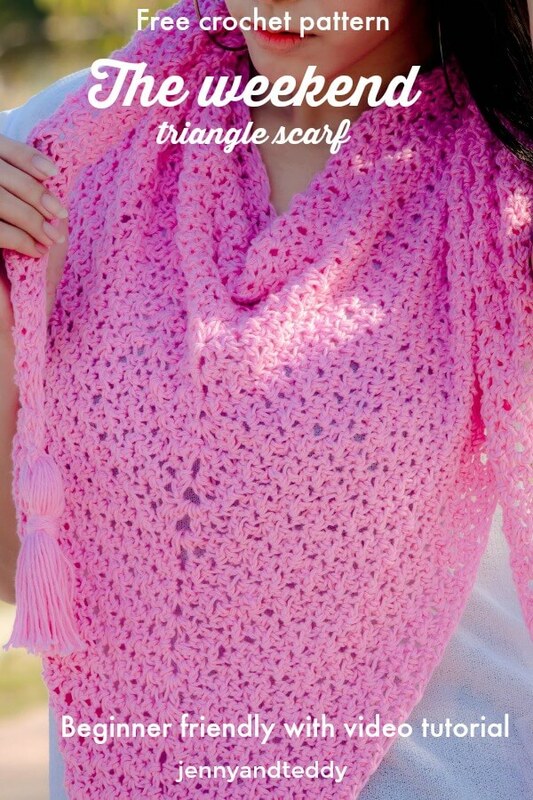 This super easy triangle scarf make with a very basic crochet stitches, like single and double crochet. 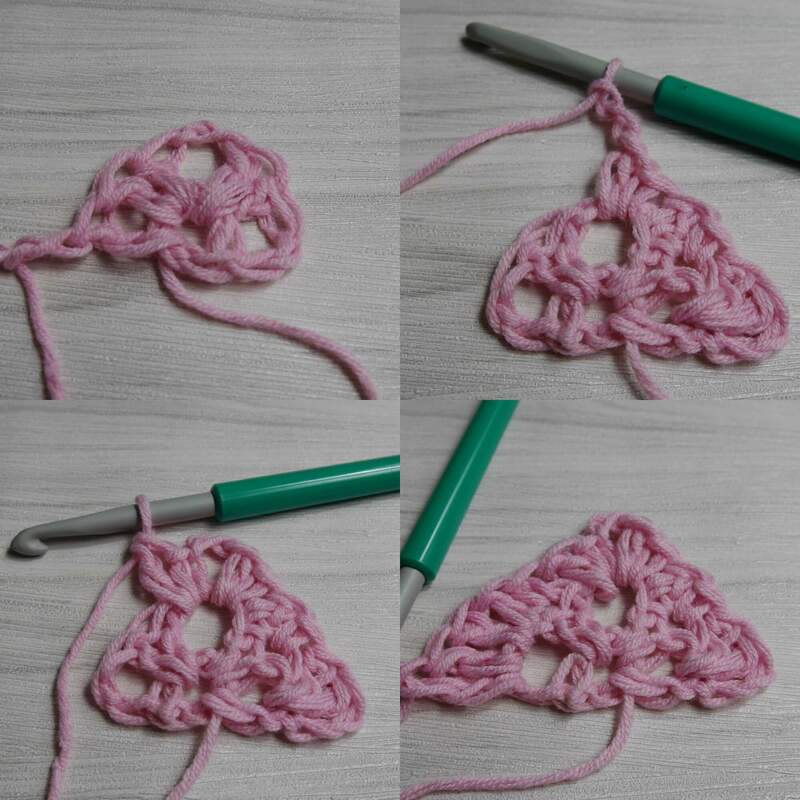 So it perfect to be your first triangle scarf crochet project and I also make a video tutorial for you as well. 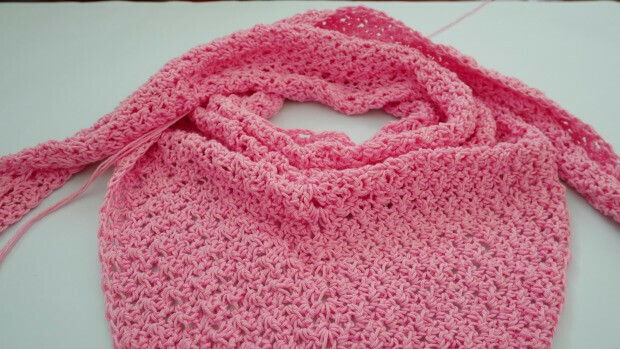 This scarf is light weight with the cotton yarn, or you could swap the cotton yarn with acrylic or wool any kind that your guys prefer to work with . 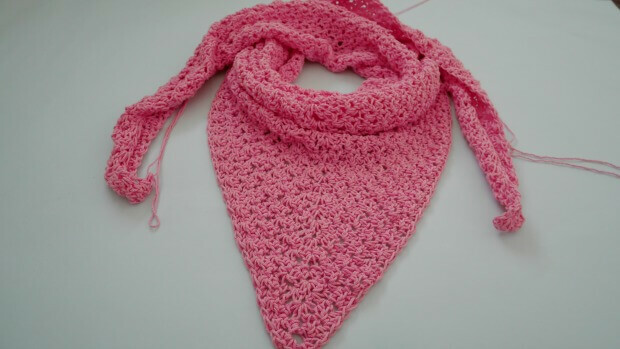 This triangle scarf is make from top down with 6 mm crochet hook. 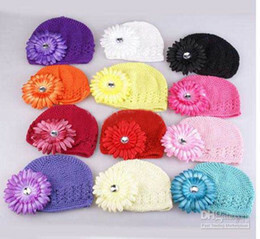 – I used Lion brand 24/7 cotton 2-3 skein including tassel. The weekend triangle scarf instruction. Row2. ch2, (count as first dc stitch), turn. 2dc into the first space, sc in next st, dc in next st, ( in the middle space make 1sc,1dc, ch2, 1sc,1dc ), then sc in next st, dc in next st. Now we onto last space of the row ( the chain2 from previous row) make 3 dc. Row3 and beyond. Repeat row 2 for the rest of the pattern ( working 1sc,1dc, ch2, 1sc,1dc in the middle space). 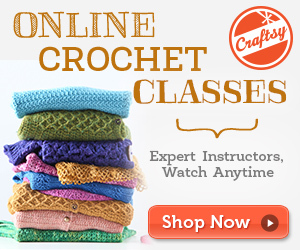 This pattern is just lovely, and easy enough to work while watching TV! 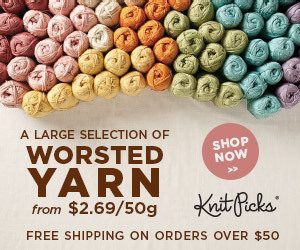 How many skeins or yards of yarn did you use (including those cool big tassels)? I am using about 2-3 skien.